Digital marketing evolves so quickly – and covers so much ground – that it can be hard to keep up. In today’s marketplace, we typically get only snippets of customer moments along the journey. Marketers need to be able to take all of these moments and assign an identity to them in order to succeed in delivering exceptional customer experiences that matter and foster loyalty. Join us for this on-demand webinar sponsored by the American Marketing Association to learn new technology-driven ideas that you can apply to your marketing strategies to transform your organization, become more customer-centric and prove business value. 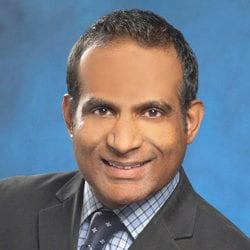 Wilson Raj is responsible for collaborating with industry leaders, customers, alliances and sales, marketing and product teams to establish and promote SAS' customer intelligence solutions.